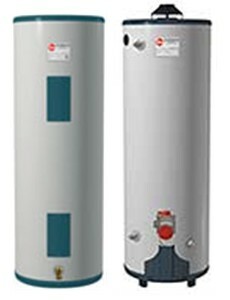 Water heater is one of the most expensive components of the plumbing system of your home. It is quite evident that on an uncertain day, you might experience problems with it, which is quite annoying. Hot water heater problems are very common these days. However, resolving such problems may not be difficult, if dealt with care. Water heaters are trouble-free devices holding 30-60 gallon water tank, which has a cold water intake, drain valve along with an outlet for hot water. A dip tube, a heating element and a sacrificial rod are some of the few components present inside the water heater. These components prevent the tank from getting corroded interior-wise. In few cases, the temperature of the water heater is not set properly. Bad thermostat often gives rise to excessive hot water. This results in the formation of hot water which becomes unbearable for the skin. If the water accumulated in the tank is too cold, it takes time for the heater to make it warm. Hence, it is highly recommended that during the intake of the cold water, the temperature should be checked and maintained at average. In order to avoid such complication, one should regulate the settings of the thermostat and reset it. Examine carefully the efficiency of the thermostat and then replace it if needed. Temperature or pressure valve leaking also generates excessive hot water from the heater. Thermostat plays a very significant role in determining how hot the water is. The status of the thermostat should be checked. Simple rising of the temperature of the thermostat can give rise to a number of complications including inadequate hot water. A faulty thermocouple which does not produce enough hot water requires immediate servicing. You can also attempt to drain the tank filled with water and clean it completely. Inability of the water heater to produce inadequate hot water can be also due to an insulation problem. 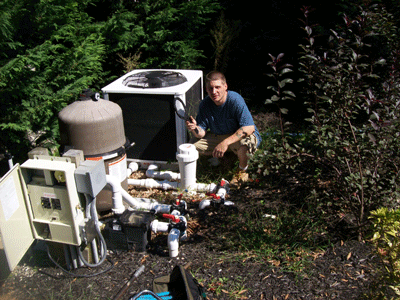 Hence, the pipes and water heaters can be insulated to deal with the problem. This eco-friendly process will save a lot of your money. Noises can be caused due to origination of sediment inside the water tank which generates a pop sound when heated up. Noises may be caused due to the slow burning of the heating element which gives clear indications that it is time to alter it. The tank generates a gurgling, banging or popping sound. Boiling sound often indicates the building up of pressure, inside the tank. In such cases, a professional should be consulted immediately. The only way to deal with such water heater problems is to drain and flush the entire tank. You can also replace the spoiled elements or the anode rod and cope up with the noises in the water tank. It is considered to be a very insanitary problem. Bad odor can often arise while taking a shower in the bathroom. The bad odor is identical to rotten egg smell. It is basically a mixture of hydrogen sulfide and water which indicates that you need to change your old anode rod with a new one. Make sure you change the worn out rod or else it can lead to leaking of the water heater. To have a more effective treatment, you need to evaluate the source of the smell, whether it is the water heater or the water itself. Shut off the pilot light along with the gas shut off valve if the water heater ejects gas. Consult your nearby gas utility service company immediately. Generally, the gas occurs due to the sudden reaction between highly concentrated sulfate water and the anode rod of the water heater. Foe better analysis, allow the hot water to run for the next 3-4 minutes. If still the smell of rotten eggs is felt, the replacement of the anode rod is mandatory. However, if the cold water ejects a bad smell, it is highly likely that the source of the water is the real problem. If the cold water smells, the problem is more likely with your source water. Install a house filter or a water softener if both cold and hot water creates problem with the water heater. In order to have a longer life for the electric water heater, drain and flush the tank regularly. Due to poor ventilation, the burning process in the heater tank stays incomplete. For such situations, it is always advisable to call a plumber. However, the effectiveness of the heater can also decrease due to the accumulation of minerals in the tank from the hard water in your area. Hence, for such situations drain and clean it on a regular basis. Often it has been seen that the light of the pilot light of your water heater won’t stay lit. Hence, either you need to remove the dirt form the pilot light or it is may be that the thermocouple is of poor quality. Since the thermocouple functions in sync with the pilot light, it is capable of determining the status of the pilot light, whether it is adequately hot or not and if it is capable of allowing gas to flow. If the thermocouple is loose and does not function properly, it will not be able to determine the proper temperature and hence will stop the supply of gas. In the absence of gas entering the pilot light, the pilot light extinguishes. A repairman should be contacted during such occasions. The temperature of the water can also create a number of problems for the heater. If the water is not hot, it may be due to the reason that either of the two- gas thermocouple or heating element may not functioning properly. These water heater components are absolutely replaceable and they can be manually altered to get back the normal supply of hot water. By raising or lowering the temperature of the thermostat to a few degrees, the water heater can be made to function properly. One of the most common water heater problems which can give rise to set of other problems is the leaking of the water heater. When water accumulates at the base of the tank, it leads to other problems such as hot water not hot enough. Such problems need not to be consulted with a plumber and you can manually fix it without spending a huge sum. The leaking can be caused due to a number of reasons. 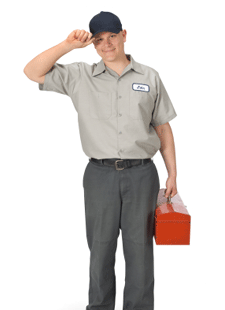 One must evaluate the exact reason for the leakage in order to repair it effectively. One of the common reasons for leakage is condensation. The temperature-pressure relief valve releases water from the tank when the pressure is high. In few cases, this relief valve starts to leak and leads to accumulation of water in the tank. This problem can be fixed manually. For better results, consult a professional because if the valve fails to function properly the tank will blow up. Water discoloration can be caused due to the presence of copper, iron and various other minerals in it. Water comprises of oxygen and various other gases in it. On heating the water, the water becomes less capable to retain the gases. On lowering the pressure, the liquid is discharged out of the tap and the gases turn into milky white small bubbles. In other cases, presence of an eroded anode rod makes the water rust colored. The inner side of the tank is corroded which changes the color of the water in it. A sacrificial anode rod is often regarded to be the common cause of the water heater problems and it can be purchased at your local hardware store. When a tank gets rusted, it should be replaced immediately. A rusted water heater gives out rusted water hence it is mandatory to change the anode rod to stop the rusting process. When a tank hull becomes rusted and can get rupture anytime, it is highly recommended to purchase a new heater before you experience any big damage. Problems in the electric water heaters are often caused due to deposits. Such deposits are like insulator and are formed on other elements and then settle at the base of the tank. When the deposits excess in quantity, the element gets overheated. Some new elements are available in the market which can treat the symptom. A number of water heaters are available in the market. Different water heaters give rise to distinct problems. However, tankless water heater problems, gas hot water heater problems, bradford white water heater problems, navien tankless water heater problems, ao smith water heater problems etc can be dealt by replacing a new thermostat. This replacement can be done manually as well as via the help of a plumbing professional for better results. The post is interesting, and every problem is explained clearly with suggested remedies. Unfortunately, my problem seems to be a combination of some of those listed here. Every time I switch the power on, there would be a noise in the tank that can disturb sleeping housemates in the night. After setting the temperature I desire, the shower will first squirt some scalding water, then get cold, then hot again, no matter what temperature I set in. I am using a digital thermostat which blinks high and low as I shower, instead of the usual dial knob which one has to turn to the desired temperature.